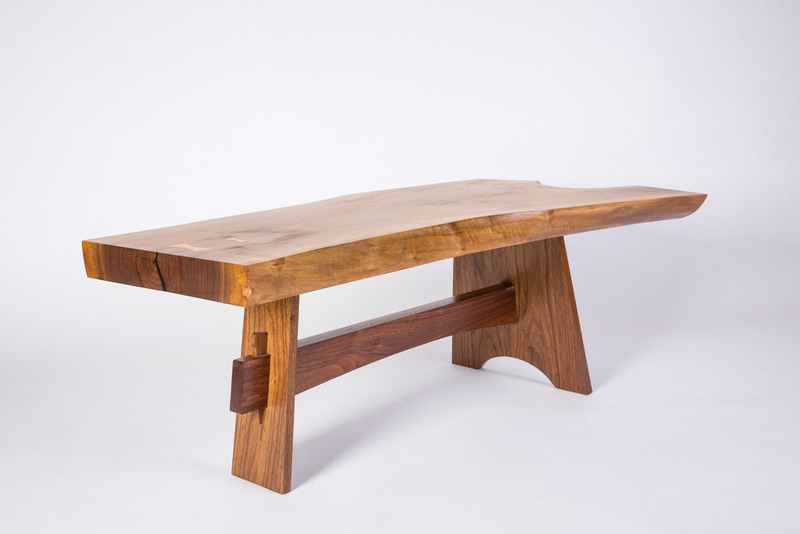 This coffee table was made from a nice piece of natural edge walnut crotch. I needed a small coffee table to accentuate our living room, but I wanted something that would offset the rectilinear forms of the prairie style sofa and loveseat I had build earlier in the year. This natural edge slab provided a great opportunity to add natural curves and form, and the checks or cracks allowed my to insert a few butterfly keys, first for structure, and secondarily for decoration. 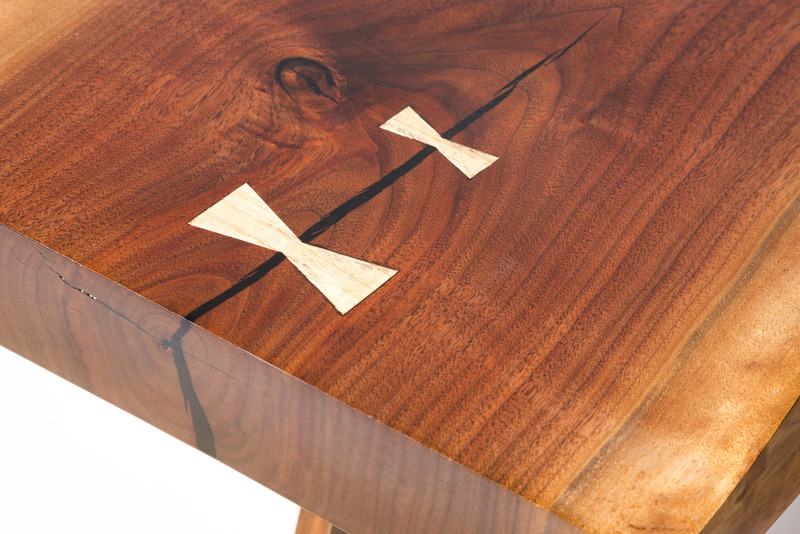 For the base, I wanted to connect the styles of traditional arts & crafts with the modern slab style, so I designed a three footed form that mirrored the crotch's "Y" shape, while adding some exposed joinery with the through tenons and wedges. All the wood is walnut, finished with an oil and varnish mix, except the butterfly keys, which are hard maple. The checks and cracks were filled with epoxy and dyed black.